We all know that silver is one of the sophisticated and expensive metals. Owing to the craftsmanship and beautiful designs, silver items hold a special place in people’s residences. Silver not only holds a great value, but also it has a touch of sophistication. In the earlier days, people used to collect antique silver pieces to elevate the appearance of their homes. In the present days, it has been a trend of using silverwares for daily use and in special occasions as well. Are you fond of using silver items? Do you use Christofle silver items? The Christofle silver items mark a touch of elegance. It is one of the pricey silverwares which you might have saved it for special occasions. Do the Christofle silver items have Christofle sterling silver marks? Christofle introduced high-quality silver items which will exude luxury and will also be affordable to you. Before you use the Christofle silverwares and other silver accessories for your home, you should be ascertaining that you are using authentic Christofle silver pieces. 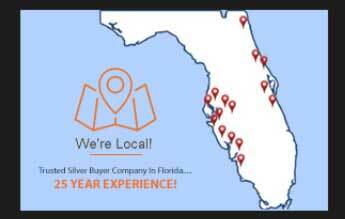 We are the trusted dealer of antique silver items in Florida. We will help you know how to spot the authentic Christofle silver with the help of Christofle silver marks. Christofle is one of the prominent silver designers who has designed innovative silver flatware pieces, crystal vases, silver picture frames, hollowware and porcelain dinnerware. The silver items of Christofle have been highly appreciated worldwide. How will the buyers know that they are using silver items of Christofle? In order to mark authenticity in the silver pieces, Christofle silver marks have been used. You will come to know you are using original silver pieces of Christofle when you will see the Christofle sterling silver marks in the silver pieces. In the following lines, you will get an idea on how to read silver hallmarks. How to Read Silver Hallmarks? Using silverware of Christofle is a matter of pride. While purchasing Christofle silverware, you should make sure that you are purchasing original products of Christofle. By reading the silver hallmarks, you will be able to make the difference between authentic and fake silverware. If you are thinking how to read silver hallmarks, then you should glance through the lines mentioned below. Charles Christofle has used various types of markings on his silverware pieces since the early 1800s. People have come across many types of Christofle silver marks which kept changing with the passage of time. If you had used the silverware of the past years, then you might have noticed ‘GC’or ‘CC’ mark along with a scale in the middle portion. As years passed by, the word ‘Gallia’ was inscribed on the silver pieces. The Christofle sterling silver marks contain a number such as ‘925’ which is embossed on the piece of every silverware. 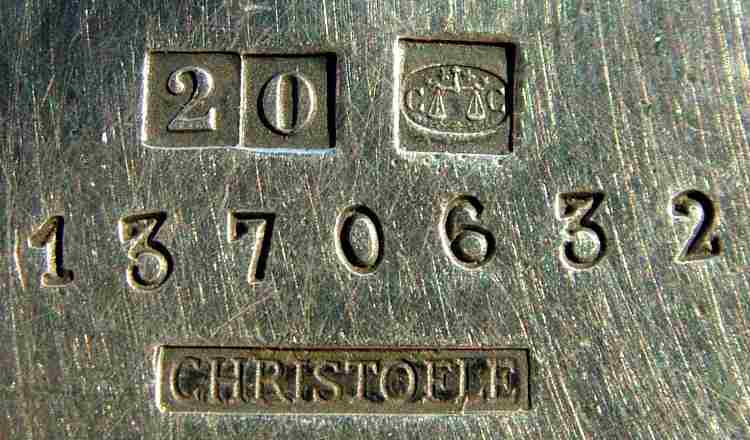 The number implies that 92.5% silver has been used in the Christofle silver items. If you see ‘800’ on a silver piece, then you should know that the silverware is a plated piece instead of sterling silver. 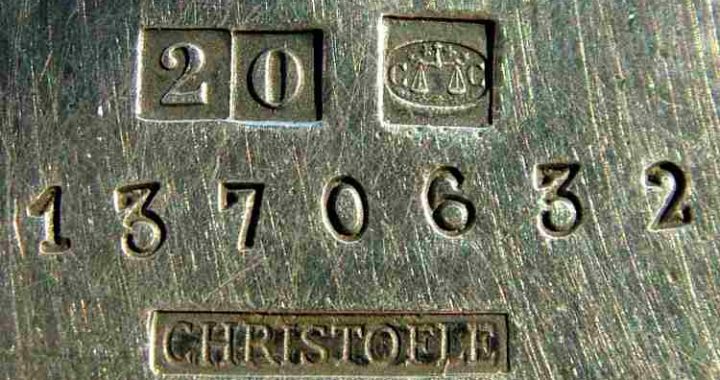 Next time when you purchase Christofle silver items, you will keep the hallmark signs in mind as you know now how to read silver hallmarks. Use the best designed and original silver pieces which have Christofle silver marks from us.